How Much Are Isha Ambani and Anand Piramal Families Worth? Mukesh Ambani surpassed Jack Ma, to become Asia’s richest person with a net worth of $44.3 billion. Ajay Piramal is the 404th richest person in the world, with a net worth of approximately $4.5 billion. 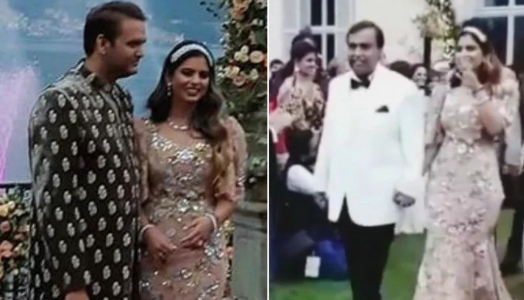 Isha Ambani, daughter of Reliance Industries Ltd (RIL) Chairman Mukesh Ambani, is getting officially engaged to Anand Piramal, son of Piramal Group Chairman Ajay Piramal. Mukesh Ambani is the largest shareholder of RIL, a Fortune Global 500 company and India’s MOST VALUABLE company by its market value. As of January 2018, Mukesh Ambani was ranked by Forbes as the 18th-wealthiest person in the world. He surpassed Alibaba Group executive Chairman Jack Ma, to become Asia’s richest person with a net worth of $44.3 billion in July 2018. He is also the richest person in the world outside North America and Europe. According to China’s Hurun Research Institute, Ambani also ranked fifth among India’s philanthropists. Ambani resides at the Antilia Building, one of the world’s most expensive private residences with its value reaching $1 billion. Ajay Piramal on the other hand is the 404th richest person in the world, with a net worth of approximately $4.5 billion. Under Mr. Piramal’s leadership, the Piramal Group transformed from a textile centric business to a US$10 billion conglomerate. Piramal’s vision for the group is to reach an annual revenue of US$20 billion by 2020.The current number of manpower of the group is 14,500.